From July 10th until August 9th, the New Theatre presents Lanford Wilson’s “The Book Of Days”. The play is just as complex, engaging and entertaining as to be expected from this Pulitzer Prize winning playwright. Not only does the New Theatre respect the play and it’s themes, its goes beyond to create emotionally intricate characters and production-wise, this performance was excellent, all aspects considered. This fast-paced play is quick witted, even linguistically poetic, revealing character, and plot twists. It’s a dialogue heavy play, often using monologues to drive the plot and character complexities. Commendations to the cast for embodying their characters, giving passionately convincing performances and for delivering the rich dialogue flawlessly. The plot follows a small town in Missouri in the aftermath of a violent tornado and the death of a prominent town figure. In a Dylan Thomas-esque approach, we see all the lives of the townsfolk entwine as we become privy to their secrets and relations. The release of information is perfect and the production team have done justice to the rise and fall of tension, I was glued the whole time. I feel that this play can often be geared to focus on the protagonist, Ruth Hoch (played by Kate Fraser) and her crusading allusions to Bernard Shaw’s “St Joan”. However, this particular performance gave equal weighting to all the townsfolk and this, in my opinion, gave the play a richer, deeper complexity. The play is a social comment, a magnification on human corruption and interactions and as expected, the ending is, on the whole unsatisfactory. I left the theatre irritated by the outcome. This is a true testament to the cast and production team because over the course of the play, I became emotionally invested in the characters due to the stellar performances from the cast. The use of space was seamless and economical. Having all cast members kept on stage made the play dynamic and their interactions with the set and props was effective, even innovative, (stage interaction possibly reminiscent of the Sydney Theatre Company’s recent season of “The Secret River”). The lighting was evocative of atmosphere and on the whole, this performance was entertaining, accessible and I thoroughly enjoyed the night. 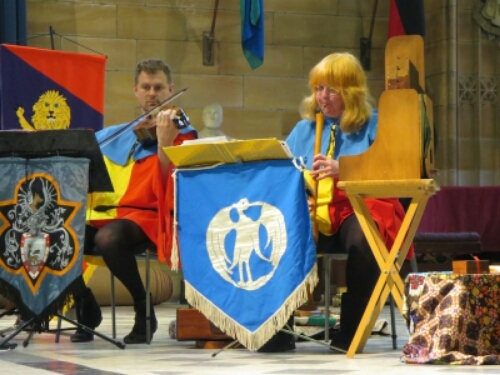 On the 28th and 29th of June, the Renaissance Players present the 36th Annual Runnymede Pop Festival in the Great Hall at the University of Sydney. This is a wonderful concert that takes you back to times as far back as the thirteenth century, in an accessible, humourous setting, with some modern twists. I’ve previously seen The Renaissance Players perform, yet they never cease to amaze me. If you’ve ever considered listening to Medieval music, in fact even if you haven’t, I recommend these players. They are so on point, so talented at what they do, in can’t help but be impressed at their skills and finesse. Not only do they present a professional performance, but they also work in sync, so much so that I feel completely at ease in their hands. If you aren’t accustomed to period pieces, it’s interesting to know that most of the music is a little bit tedious and monotonous, and there little to no hummable beat or tune for the mind to latch onto for novices (like me). Yet what the Renaissance Players do is create an entertaining space with a dynamic atmosphere and personality, which in turn manages to keep your attention, if not impress you, (not to mention their incredible mastery of some period instruments I haven’t come across before). Winsome Evans is totally engaging with her harp and Jessica O’Donoghue is an intoxicatIng soprano. Her voice echoed through the Great Hall in an ethereal a capella performance of Sa sibilla, which was followed by mesmerising organ work in Beata viscera virginis. Special mentions of Unter der linden and [Rubin] Salterello showcased how such music can be both complex and tranquil, and so perfectly balanced. The atmosphere fluctuated between Lord of the Dance-esque, to Robin Hood soundtrack, and even dreamlike. We navigated our way through the middle ages with the help of God’s Fool- a mime providing comic relief, as well as Geoff Sirmai’s theatrical poetry readings, exploring Frederick May’s linguistic emporium. What an excellent night out. Rug up- the Great Hall can be a little chilly when sitting still for a lengthy period of time. The Dead Ones is a performance piece written and performed by Margie Fischer and is showing at the Seymour Centre from Wednesday 18th until Saturday 22nd of February. Its a personal exploration into a universal story, with themes that resonate with all members of the audience. Our journey began in WW2 Austria and followed her parent’s plight to Shanghai as Austrian-Jewish refugees. After 10years in China, her parents moved to Australia and built a life in East Lindfield. Yet, the tale is more than a simple refugee story. 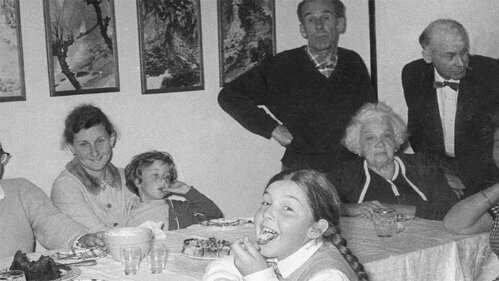 In retelling the lives of her parents, Fischer explored her family history in what seemed to be a moment of catharsis. The presentation- lecture style with corresponding images, held such a genuine tone and clarity in some of the most emotionally distressing times. Fischer explored themes of family, personal identity, memory, death and hope. Her storytelling wasn’t particularly captivating, however it was the way Fischer managed to draw us with subtle humour, rhetorics and universal questions that I was able to identify with, for example, what happens to our memory when we are gone? Are we manifest in objects, space or is it enough to live in someone’s mind? What’s role do photographs play in context or out of it? Her selection of photos and images for the presentation seemed like archive material and soon enough, I was feeling quite at home learning about her family life and their dynamics. The Dead Ones is definitely a time-of-life piece. I think it was a piece that formed part of Fischer’s grieving process and showed how storytelling is vital in understanding, and later arranging, one’s milestones into a conceivable structure. Commendations to Margie Fischer, who was able to hold her audience for the full duration, with a topic that must’ve been extremely difficult to research and confront. 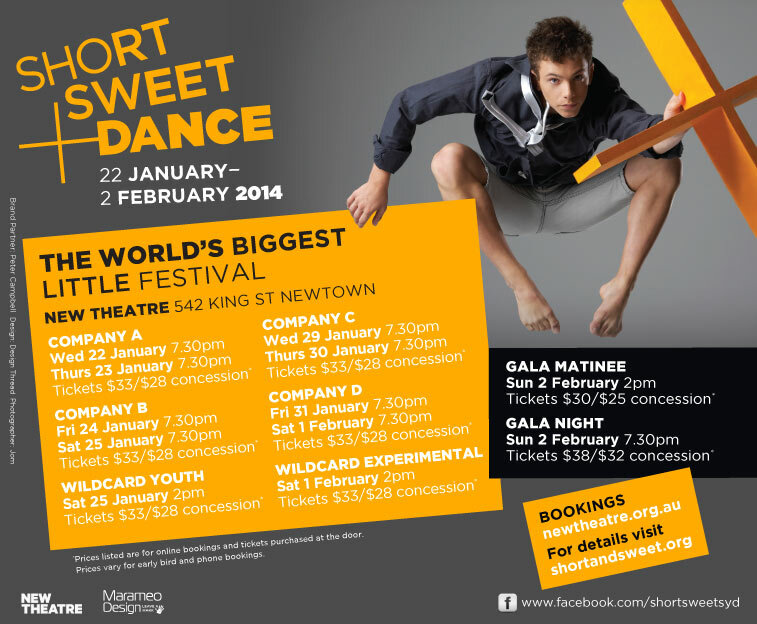 The Short and Sweet festival has expanded beyond theatre and cabaret into dance and this week, I saw the Short and Sweet Dance heats at the New Theatre in Newtown. The Company C heats showcased 12 dance performances to a full house. The quality of each performance and the variation from dance to dance had me pleasantly surprised. I did enjoy myself and I think choosing a People’s Choice to go onto the finals this Sunday will be difficult. Personally, I tend to value the performances that are thought-provoking, insightful or they tell me a story. In other cases, the dance itself was enough to captivate me. STRING was beautiful and artistic. As a video, it focused on Black and Whites, lighting, movement and the human body. The bio reads that the piece was a collaboration between fashion photographer Konstantin Kochkin and Australian dancer Joseph Simons. The fashion photography element really came through, it was a very beautiful piece. TESSELLATE was a contemporary, street art pop piece that told a story, with clever visual aids and elements of hip-hop. Three talented dancers testing the themes of Innocence, Confidence and Maturity. WE STEP focused on the lines of the body with the stage washed in golden lights. A contemporary piece exploring themes of birth and exploration, exploration of the body and movement, testing the boundaries of the body. For me, it was memorable and beautiful. A little bit reminiscent of the recent production of Frankenstein at the National Theatre in London. The rebirth of a human, exploring the movements and functions of a body. Oddly stunning. NO, I WOULD NEVER was a clever little piece of experimental performance. Blending audio confessions of people, whose initial reactions to various situations are just downright wrong. The sole dancer and choreographer, Hayley Raw, was exceptional in her literal storytelling. The performance seemed to be a collaboration of mime, dance and movement, as she reacted to each tone, nuance, background noise in the audio clips. It was eclectic, esoteric and incredibly memorable. SEPTEMBER was a really wonderful dance. Professional use of lighting and costuming made the entire performance rather effective. There wasn’t an underlying story, but the dance was really beautiful to watch. The chorography focused on lines and synchronicity, silhouettes and shadows. It was stunningly visual as all the dancers were connected. MAY I PLEASE was a whimsical frivolous look at the pull and grasp of temptation. Incredible use of props and colour, the piece had elements of humour and was very creative. The dancer, Mariana Parazio, gave everything to her performance. It made me question whether the piece was as simple as yearning for an endless supply of jelly beans, or whether it had an underlying message about temptation. FROM HERE was fierce look into conformity and rites of passage. It seemed like a blend of contemporary, hip-hop and pop & lock. It effectively told a story as each person became a character and each character contributed to the company. Very effective. THE FEAR OF… was a performance about phobias and was to the standard of Rock Eisteddfod. I found it chilling, scary at times and that’s a real testament to the choreography and performers. A special credit to the dancer who opened the piece for really setting the scene. From contemporary dance to high-intensity tap, the performance was symbolic and successful in conveying it’s message. VANISHING POINT was symbolic and very artistic. With lots of trust movements, explorations of the self and an awareness of the space, the piece included visuals that were highly effective. SALT seemed to me to be a social commentary. Very thought-provoking, this experimental piece was eclectic and very interesting to watch. The choreographers were the dancers and their synchronicity was impressive. /LU:P/ was an incredibly clever piece using knowledge of environment, space and connection to the audio track. The dancer/choreographer was exceptional in her fluidity and movement. The synopsis states “a cyclical process that we are always experiencing- within each loop, different information is revealed”. I understood exactly that from the piece. SWINGDANCIN’ finished the night with a bang. Vibrant energy and overwhelming enthusiasm had the audience in the palm of their hands. Over thirty dancers on stage performed a blend of classic swing, jazz, hip-hop, Fosse Charleston and the jitterbug. The synchronicity made it a visual spectacular and it was a great way to end the night. From the 24th of October until the 2nd of November, The Tap Gallery in Darlinghurst hosts the world premiere of Ron Elisha’s Love Field; A Flight of Fantasy. In this very interesting account of experimental history, playwright Elisha explores a very tense flight on Air Force One to Washington just after the assassination of John J Kennedy. The play imagines a conversation between Lyndon Baines Johnson and Jackie Kennedy over the still-warm coffin of her husband, President Kennedy. The play hinges on character dynamics and the play shifts in power very easily. In portraying character, we see a distraught Jackie Kennedy in her overwhelmed state of grief, still covered in the blood spatters from the assassination. We are drawn into her closeted world of being first lady, love of America and doting wife. From there, we see her demise as she realises all the hopes for her future and the future of America have gone down with her husband. Meanwhile, LBJ has just had greatness thrust upon him in a very untimely manner. We see his character development shift and change along the play, according to his interactions with Jackie; his apprehension towards this new role, his vulnerability and finally his newfound Presidential confidence. Lizzie Schebesta and Ben Wood performed with so much power, conviction and passion as Jackie Kennedy and Lyndon Baines Johnson. Schebesta was feisty, like a live cracker and her performance seemed very akin to the characterisation of a grieving First Lady. Schebesta is very powerful on stage and has a lot of control, attention to gesture, detail and movement. Wood performed LBJ with such consistency. This man had stage presence and confidence and he was so easy to listen to. In my opinion, the play was rather rushed to come to a conclusion. At times, I wasn’t sure where the plot was going because the audience was only peering in on an in-flight conversation between the two leads. Then the characters shifted and I felt the power seemed a little unbalanced. I think the ending was believable and the actors carried the play with their passionate performances, however I think had there been time for an interval, the final character twists may have seemed less rushed. Apart from that, I was wholly impressed with the production. The set was perfect and the use of space was economical and rather clever. The sound and lighting was carefully managed, with interjections of multimedia. Actual archival footage from that fateful day in November, 1963, coupled with authentic sound bites really added to the play. I was very impressed. Furthermore, the Tap Gallery was a very amiable host for this event. Comfortable for an intimate audience, the Tap Gallery is a nice fusion of art and culture in the one centre. I’d recommend catching Love Field in commemoration of the Kennedy assassination’s 50 year anniversary and I’d recommend it to people who are interested and curious at all things historical. It was a great experimental history. Just a short walk from Town Hall is a quaint little church, a late nineteenth century sandstone chapel which upon first appearance, is nothing less. That is, until you walk inside where lo and behold, you’ve stepped into the arms of a small but grand theatre. The stage is rustic, the auditorium seats are deep red and the whole theatre experience is intimate and homely. The Genesian Theatre has been so since 1954. 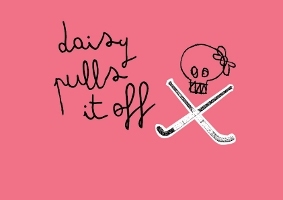 From the 18th of October until the 16th of November, the Genesian Theatre hosts the play “Daisy Pulls It Off”. When reading the synopsis, I gathered the preconception that this play would be not unlike “St Trinians”; the coming-of-age story following a middle class school girl in her plight to make a name and prove her worth as scholarship winner at Grangewood School for Girls. The play is archetypal in the sense that it’s set in a British boarding school, the plots are foreseeable and it covers Dickensian themes, like the importance of blood or good heritage. The story itself was not necessarily original. In saying this, however, I was pleasantly surprised by the way The Genesian produced this play. I’d like to give credit to either the playwright, Denise Deegan, or the director, Mark Langham, for their excellent stage directions and comic timing. I believe it would be very difficult to script or direct helter-skelter comic timing. The play was very well choreographed and teetered on the edge of satire in sending itself up. It did so only because each of the actors gave more than 100% effort to their roles, the passion really shone from each of them. It was because they played their characters with great conviction and overwhelming confidence that I began to laugh along with the outrageous shenanigans of the plot. Rather than taking themselves too seriously, the whole production was rather relaxed and this made me, as an audience member, quite comfortable. I thoroughly enjoyed the production. The set design and props were highly appropriate. More so in the second half than the first, I found myself appreciating the clever and sparing use of such props. I’d like to commend all the cast members on their tremendous effort in holding together such a long play with quick wit, fast dialogue and effortless British-isms, as well as their ensemble performance as a whole. Lastly, a quick side note of admiration for La Kutchina, a nearby café/restaurant. I had wandered up to The Genesian a little too early and needed somewhere to hide away out of the bitter wind for a while. La Kutchina opened its doors with warm hospitality, excellent coffee at a good price and complimentary homemade shortbread. Sitting in their deep arm chairs, I felt welcomed and not a pest at having to bide my time before the theatre opened. I would definitely return to try one of their main meals before a show at The Genesian. The audience roared with laughter in all the appropriate times of “Daisy Pulls It Off” and I feel that audience enjoyment and engagement is paramount to the success of a performance. There weren’t as many in the audience as I hoped there’d be and I’d like to see more people appreciate this amateur theatre in their future productions. 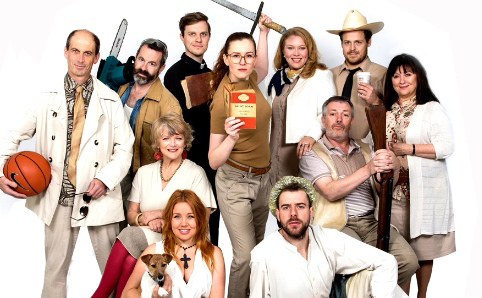 From the 19th of September, The Ensemble, Kirribilli hosts “Camp”, a crazy comedy following the antics of a group of families on their Boxing Day camping holiday. Each family is dysfunctional in their own right, so spending time trapped in a communal camping ground is the perfect place to set a comedy, while magnifying some of the more relevant human experiences. In hindsight, the plot isn’t outlandishly unique and the character development, conflict, climax and resolution are all evident as a formulaic stage text. However what makes this play very clever is the fact that playwright Gary Baxter has managed to flawlessly script chaos, which is a very difficult thing to accomplish. His dialogue is balanced, heavy with implied humour, satire and the taste of the production is inherently Australian, which in my opinion is rather refreshing. To further the success of this production, Baxter’s heavy chaos wouldn’t have been possible without the passionate dedication of such a high calibre cast under the great direction of Mark Kilmurry. The dynamics of the cast were perfect, their power was raw when necessary and they had total believability when performing their roles- I believed they were who they said they were and I believed we were at a campsite in the sweltering heat. I thought the actors and the script were very crafty in being able to highlight small idiosyncrasies and heighten character and nuance, and these are indicative of great theatre because for that moment, as you sit in the dark, you leave your own world behind and escape for a while. The play didn’t need your involvement, it didn’t ask you to decode or work for anything. As the audience, you were only asked to be open to the journey ahead. There were people who roared with laughter and people who sat horrified at the sickening reality of campsite claustrophobia. For some, well for me at least, the play came a little too close to home in their portrayal of the typical Australian camping experience. In terms of production, The Ensemble delights me every time. The set was perfect, astro-turf, washing line, doggy-poop and all. Their attention to detail in the prop and lighting department really authenticates the play. I’d also like to mention that there was a mix-up at the Box office and the office staff were more than helpful with my tickets. 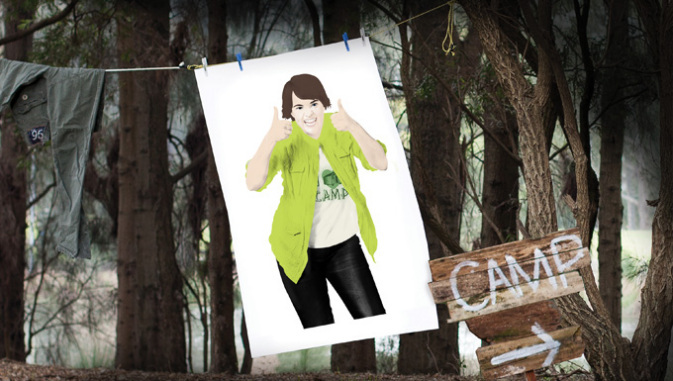 “Camp” is a play that is fun, relative to our own experiences, as happy campers, or even just as Australians. It’s a nice break from reality for two hours and it’s well-executed, light-hearted fun.